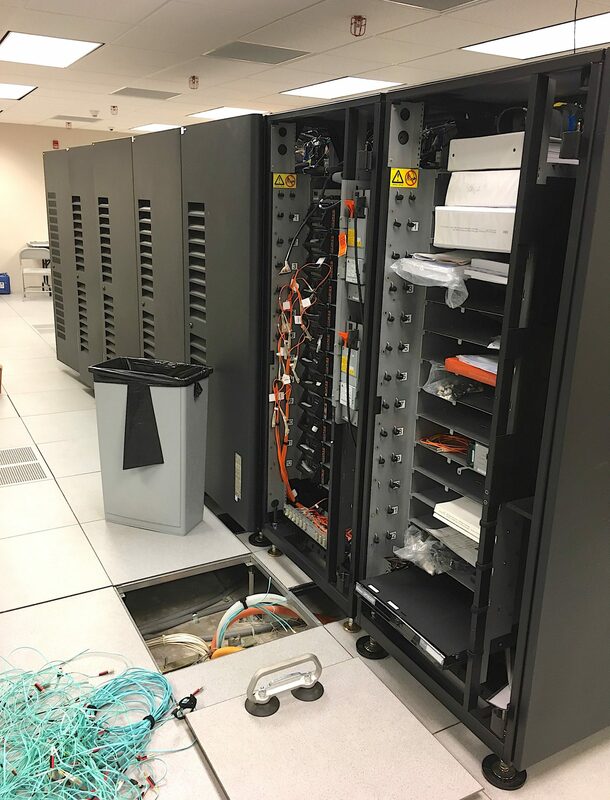 ITS has retired its tape robot, affectionately known as Roberta, after a dozen years of it storing, reading from, retrieving and backing up information for UNC-Chapel Hill. Roberta was an IBM Tape Library that ITS Infrastructure & Operations purchased in 2006. Roberta used its two 10-foot-long arms to pull magnetic tape cartridges mounted in the storage racks to its left and right. Roberta worked 24/7/365 and never needed a lunch break, said Ray DeCristofaro, who bought, set up and managed the tape library. He is Director for I&O’s Enterprise Operations group. Users, such as outside agencies sending data to the University, could read tapes from anywhere. Before tape robots came along, human workers performed this job. 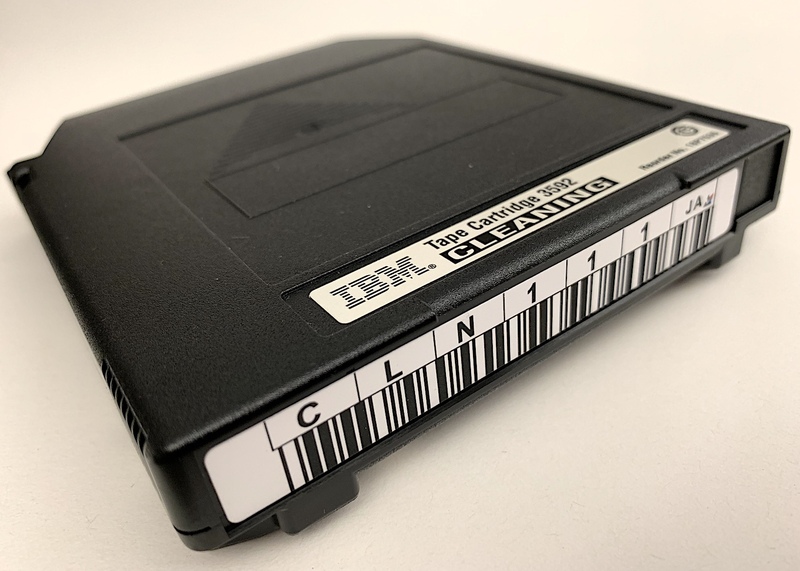 People manually inserted and removed tapes in this kind of file storage system, just as one would grab a book off of a library shelf. Early on, ITS used Roberta the robot for backups for the mainframe computer and for servers in the data centers for ITS and campus customers. These crucial backups included backups for ConnectCarolina, which is the administrative management system for conducting campus business. Infrastructure & Operations put files on the tapes as a method for storing and backing up information and sent the tapes off site for safe keeping. “We had about 2 petabytes of data on tape,” said Brent Caison, head of I&O’s Global Systems group. His group is responsible for backing up the servers in the data centers for ITS and its customers. Data storage needs continued to grow. But the IBM Tape Library frame was old, and tape media is an old, expensive and time-consuming approach. More and more, IT leaders throughout the industry are choosing to move to the cloud for all kinds of solutions. Instead of continuing to use Roberta, ITS’ Global Systems group decided to switch to another system for backups. By the end of January, Roberta’s useful life was over. If Global Systems would have needed to use the tape library to restore a customer’s files, the process could have taken days. The new storage solution better serves ITS and its customers. It provides faster data recovery than tape. The likelihood is high that the data can come back from cache, Caison said. But if the data doesn’t come back, it’s still faster to pull from cloud than tape, particularly in a mass disaster recovery operation such as a data center failure. Early in Roberta’s life, Infrastructure & Operations sent some 200 to 300 tapes off site each day. Toward the end of the tape robot’s life, that number had dwindled to 10 to 15 tapes a day. These tapes looked similar to the eight-track tapes popular in the ‘60s and ‘70s. “Remember eight-tracks?” DeCristofaro asked. But just as eight-tracks came to an end, newer systems and technology made Roberta obsolete. In mid-February, I&O’s Enterprise Operations and Global Systems groups worked together to decommission Roberta. “We actually took the robot apart ourselves,” DeCristofaro said. Team members got down on their hands and knees with wrenches over the course of a work week to remove Roberta from its secured place in the floor. They also shredded 3,000 tapes. Infrastructure & Operations saved $100,000 by dismantling and surplusing Roberta and by eliminating the annual maintenance cost. Removing the tape robot from a 1,000-square-foot room in ITS Franklin also frees up space in the building for other equipment. This decommission of the IBM Tape Library is transparent to customers. Still, DeCristofaro said, the switch to a more modern system is “a great thing for customers,” particularly if any of them ever require data recovery.